"We will call it the space force," President Trump proclaimed. President Trump is spacing out. 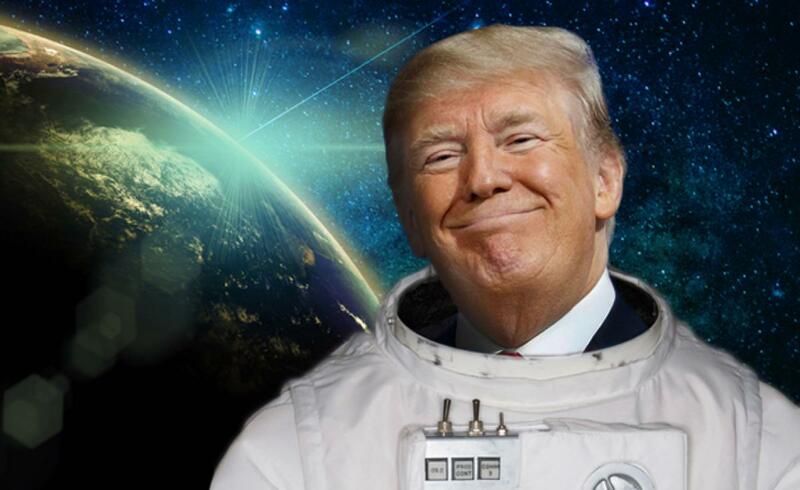 The commander-in-chief announced during a bizarre press conference Tuesday that he'd like to expand the U.S. military beyond planet Earth via a "space force." "Space is a war-fighting domain, just like the land, air and sea," Trump told a crowd of Marines at the Miramar military base in California. "We have the air force. We will have a space force…We will call it the 'space force.'" Trump didn't make clear what shape the "space force" might take or what adversaries it would confront. A Pentagon spokesman did not return a request for comment. Trump touted his proposed military addition as the next "big breaking story." "Look at all those people back there. Look at that. Oh, that fake news," Trump said, gesticulating at the reporters present. "They know, they understand. Think of that. Space force!" But the idea of a new military branch centered on the cosmos is in fact far from a Trump original. "We have the air force. We will have a space force," Trump said. For decades, proponents and critics have debated adding a dedicated “Space Corps,” which would absorb the Air Force Space Command's current missions. Rep. Mike Rogers(R-Ala.) proposed the idea in last year’s defense spending bill, but Defense Secretary James Mattis and others at the Pentagon opposed it. The futuristic-sounding force was left out of the final version of the spending bill. Rogers argued that a dedicated service was needed to stay ahead of China and Russia in what some see as the next frontier of warfare. 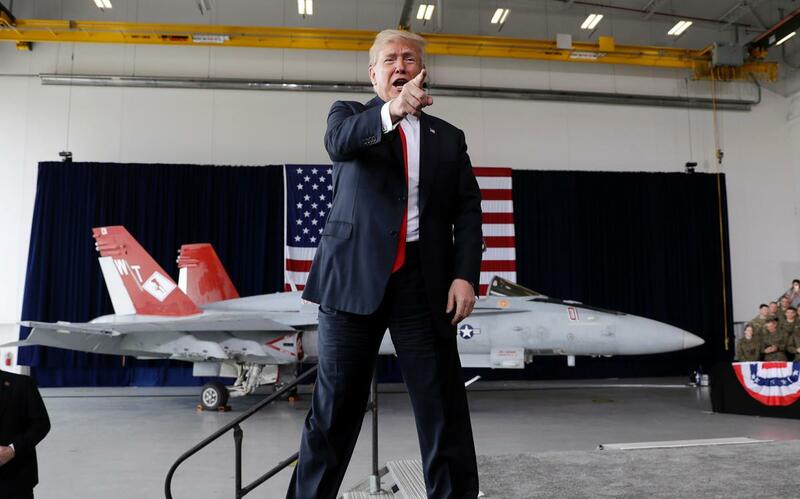 Trump's proposed federal budget, released last month, asked Congress to earmark a whopping $716 billion for defense spending, a 13% increase from 2017.